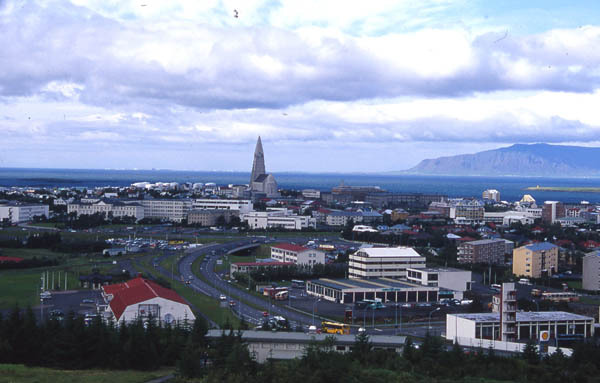 On 10 July 2000, I flew to Iceland from California via Minneapolis on North West Airlines and Icelandic Airlines. 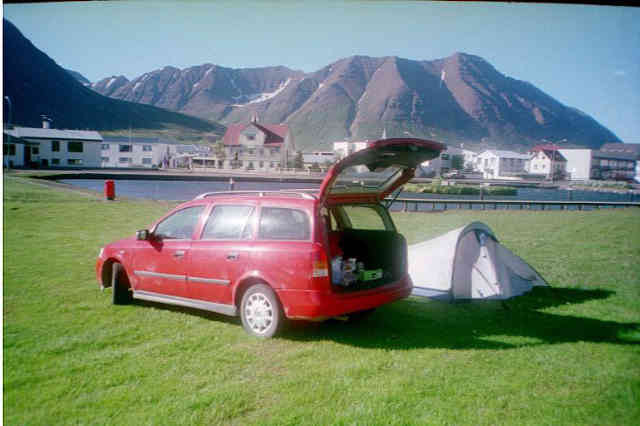 I rented a station wagon at the airport in Keflavik and drove into Reykjavik, the capitol and largest city in Iceland. 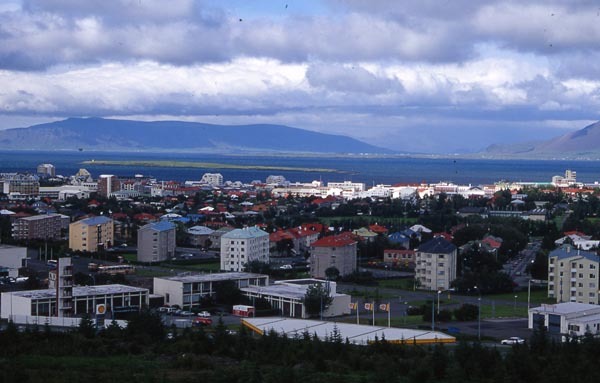 The plan was to visit Reykjavik for two nights then car camp around the perimeter of the island for nine nights and then revisit Reykjavik area for two more nights. 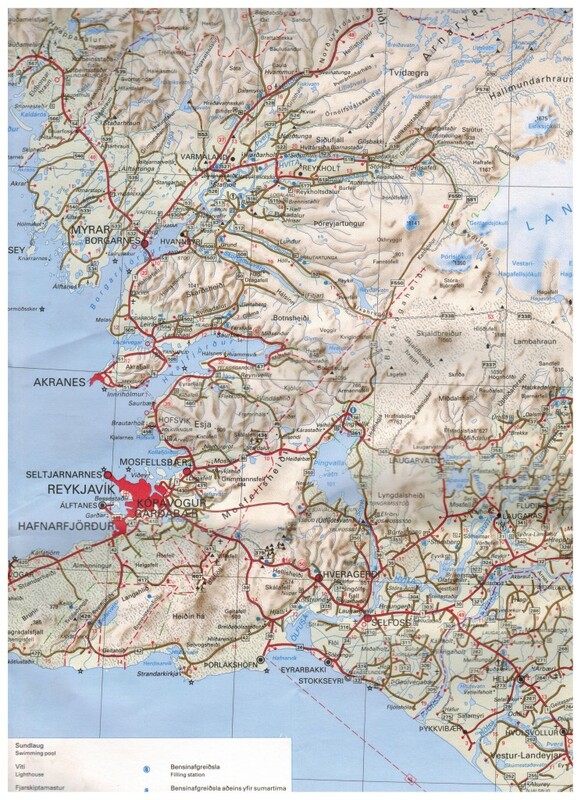 A map of Iceland showing the approximate counter clockwise route that I drove while car camping. 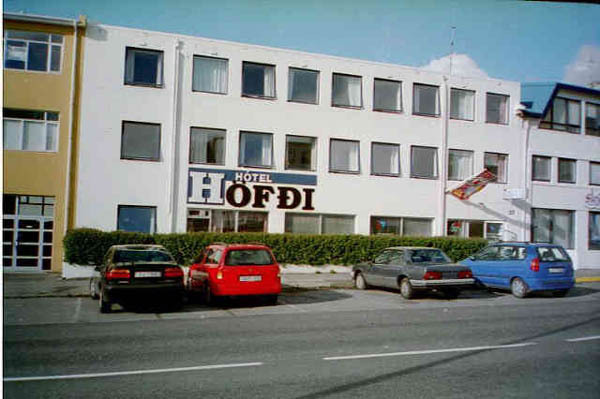 The Hotel Hofdi in down town Reykjavik where I spent the first two nights. 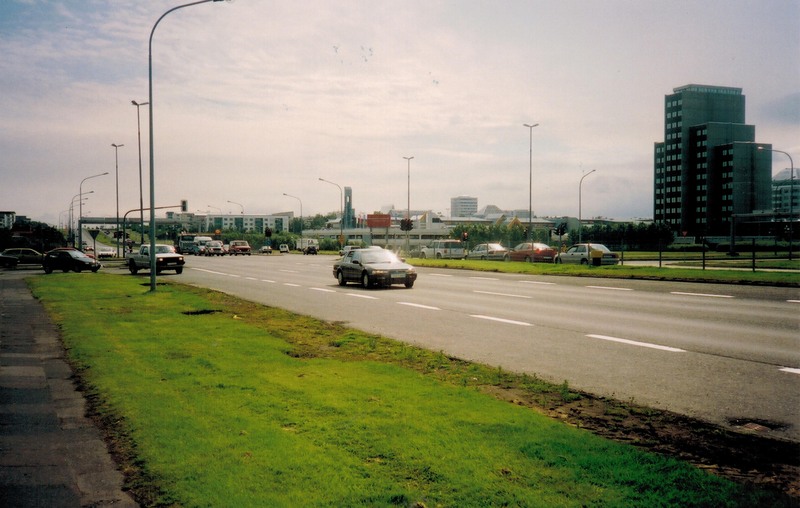 This gave me enough time to explore the city of Reykjavik before I started my car camping tour of Iceland. The red station wagon is my rental car. 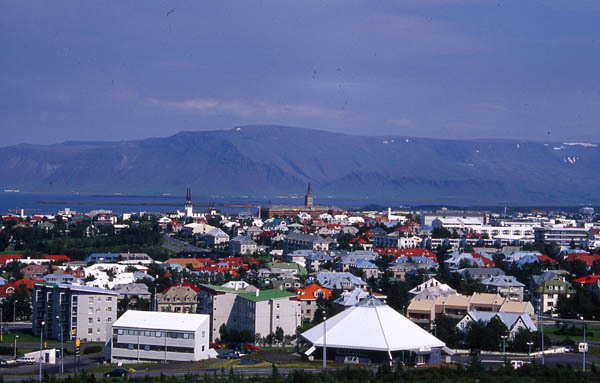 A view of Reykjavik taken from the tourist platform located on the city water tower. The view is toward the main harbor. 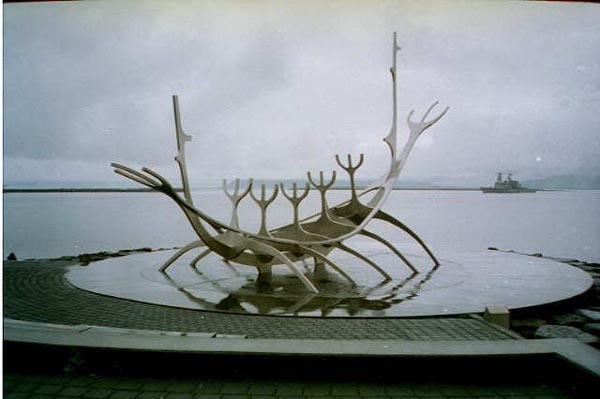 A sculpture of a viking boat at the city harbor. 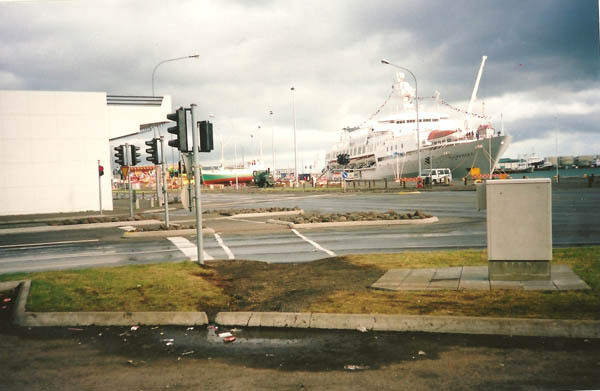 A passenger cruise ship docked at the main Reykjavik harbor. 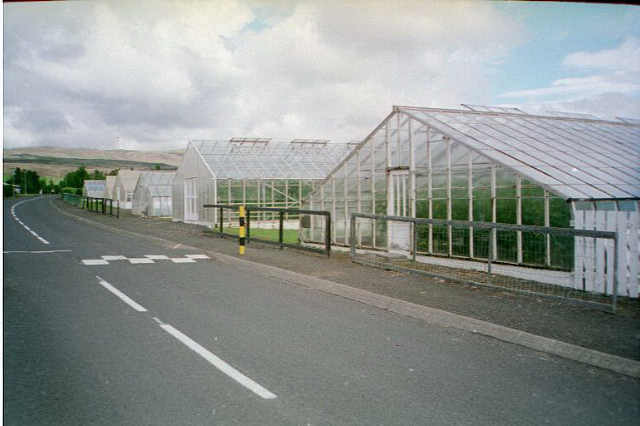 As I proceeded around the island on the first day, I came across Iceland’s method for growing tomato plants. 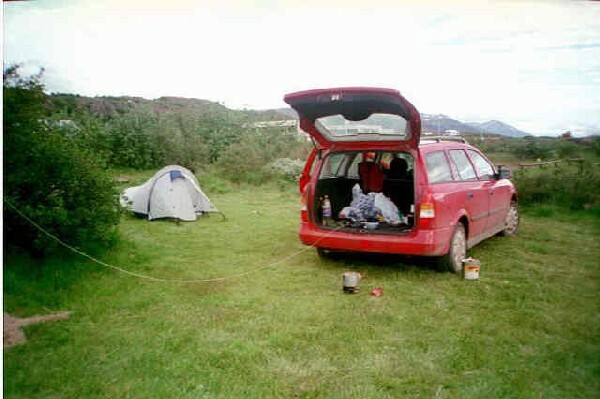 My first night of car camping was at the Skaftafell National Park located on the east side of the island. One of the Glaciers that I observed from a hill top at this camp sight. 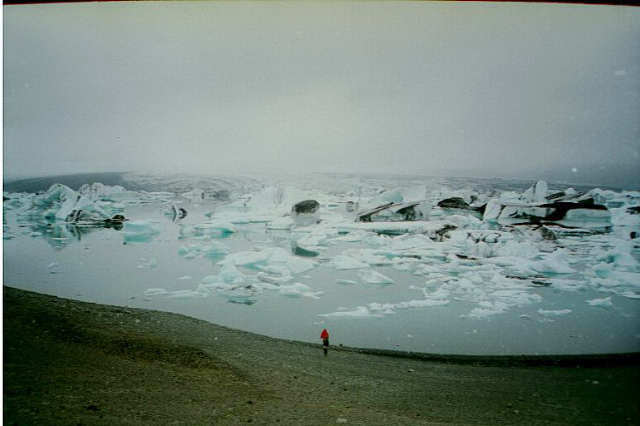 Ice blocks floating on a lake at the foot of a Glacier near the highway. 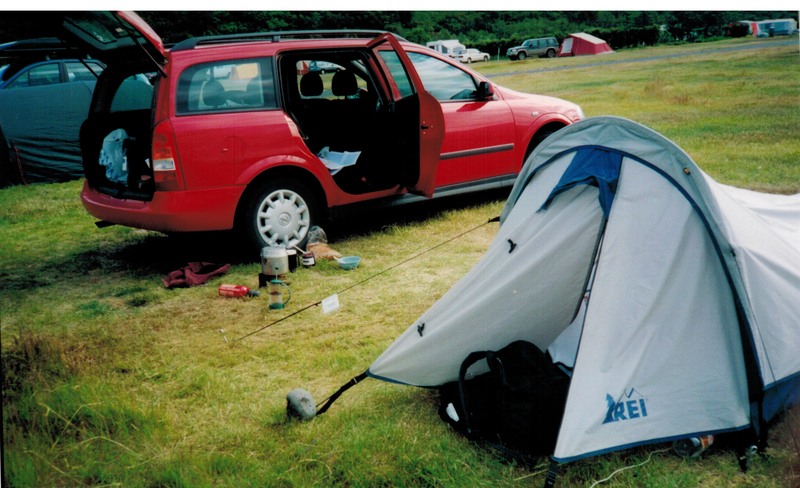 The next day I drove to Hofn where I set up camp at an official site. 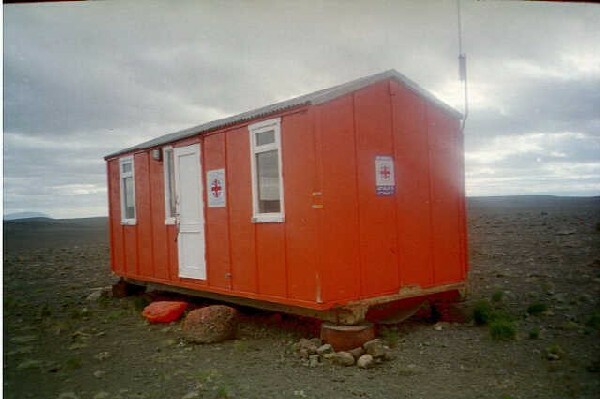 The campsite office was also a bus station. I toured the town ofnfoot as I looked for an internet place. 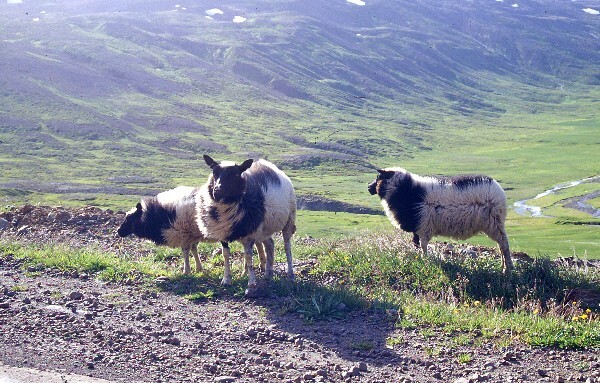 The temperature has been between 9 and 16 C.
I saw many sheep along the way. Usually there were two lambs with each ewe while occasionally I saw three lambs. 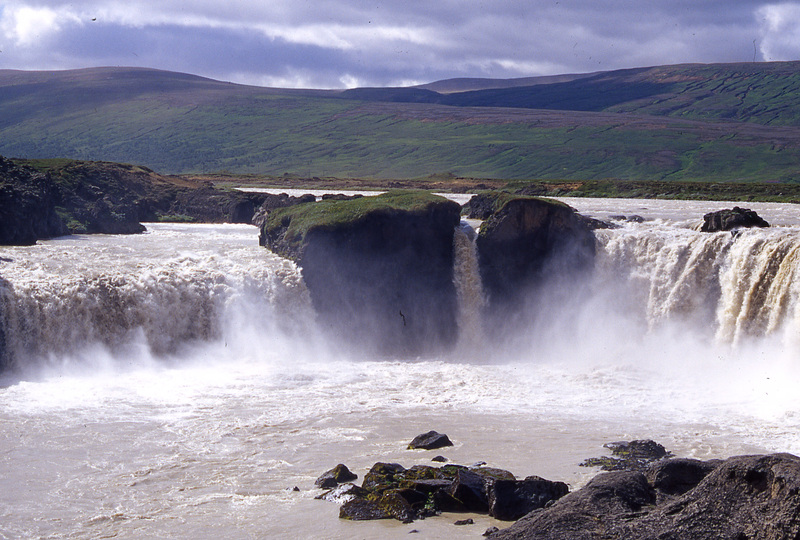 A water fall on the eastern side of Iceland. A portion of a map illustrating the NE portion of the island. 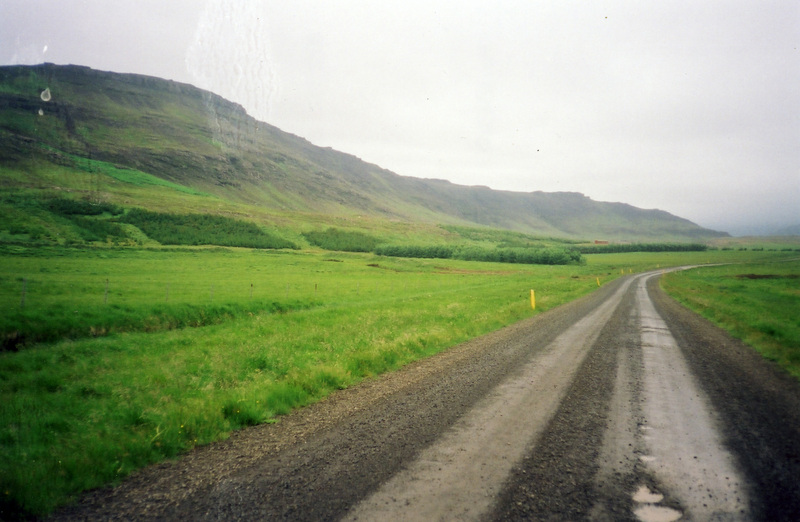 Before reaching Egillstadir, the road branches out to the coast to the town of Seydisfjordur. 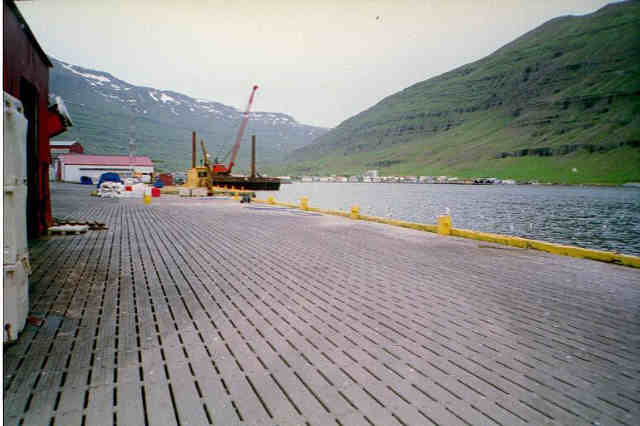 Seydisfjordur is the town where the ferry from the Faeroe Islands docks. From Seydisfjordur, I drove back over the pass to Egilsstadir. On these isolated passes one finds winter emergency shelters for stranded drivers. My camp sight in Egilsstadir. 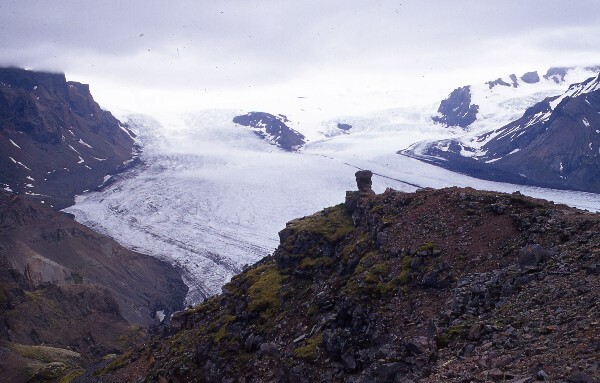 This northeast corner of Iceland was the only place with any sizable dwarf forests. 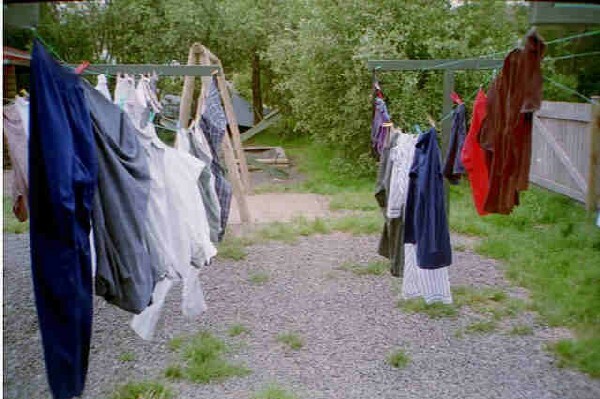 Hanging my laundry out to dry at the camp sight laundromat. 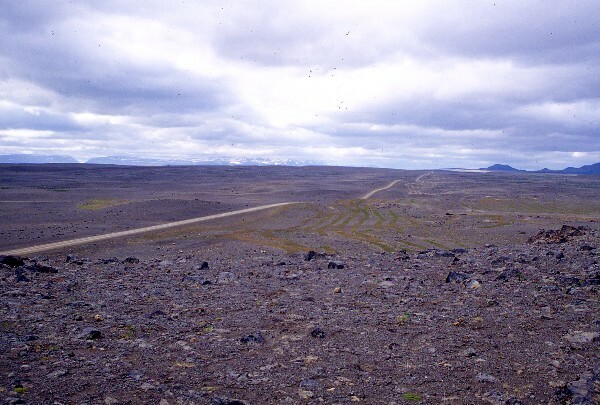 This area of Iceland is the only area of appreciable forest growth. Many visitors come to this area to camp. I drove the next day to the intersection of Highway 1and 864 to the town of Grimstunga. I set up camp in a farm field meant for camping. 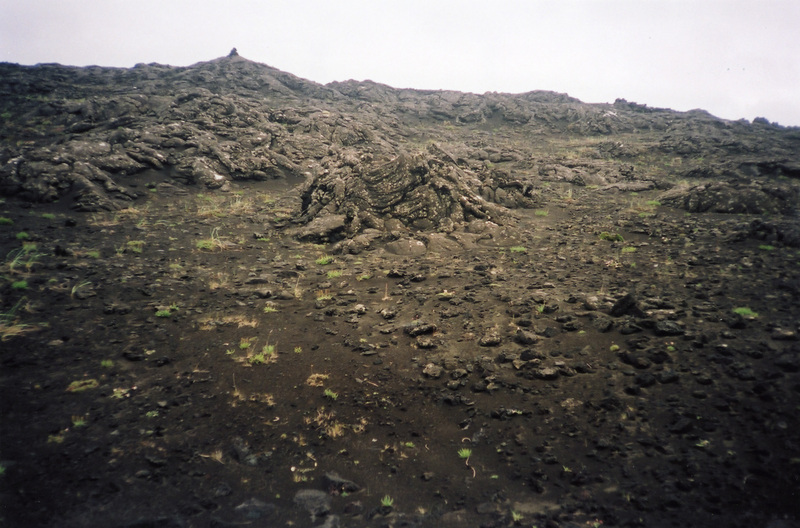 The landscape along Highway 1 in this region was very bare and looked similar to the surface of the moon. Instead of continuing on Highway 1 to Myvatn Lake, I took a detour on Highway 864 to see Dettifoss Falls and then continued on to the ocean. 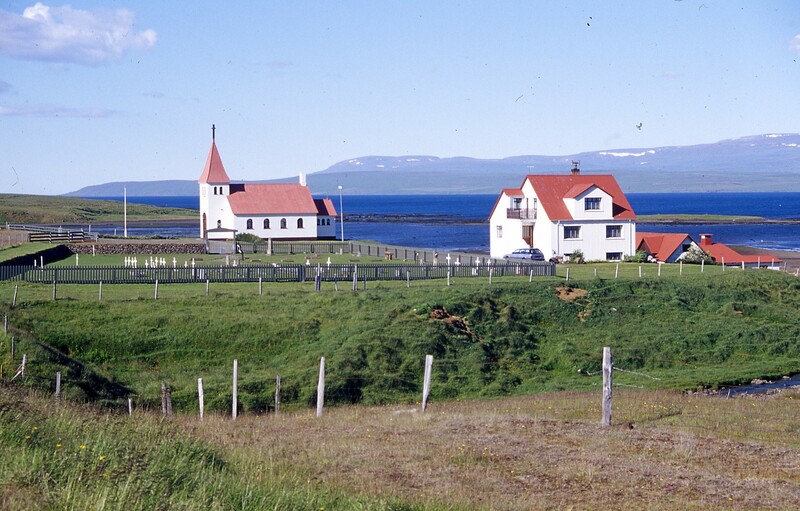 I drove the coast Highway 85 to Husavik. I checked my email at a Husavik library. 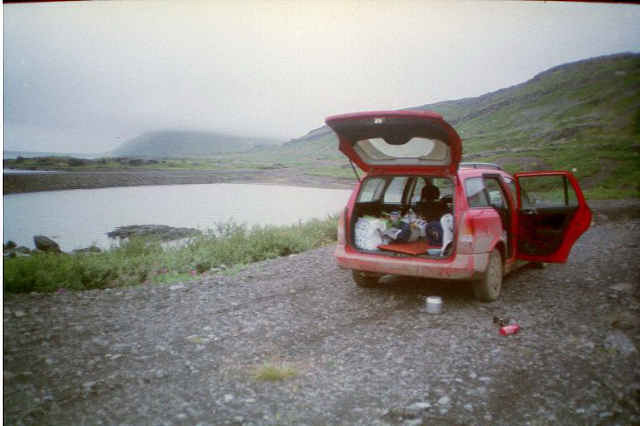 On the way to Myvatn Lake on Highway 87, I stopped and showered, swam in a pool, and sat in the sauna. 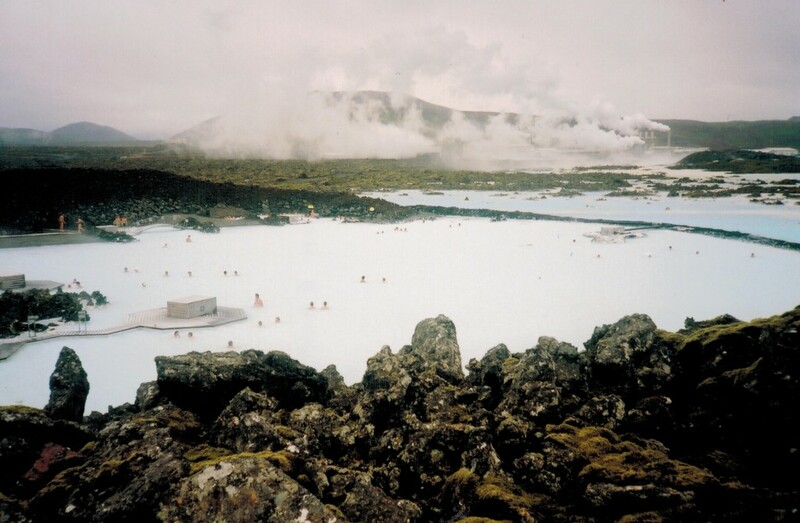 This was an almost daily routine because of the proliferation of hot springs in Iceland. 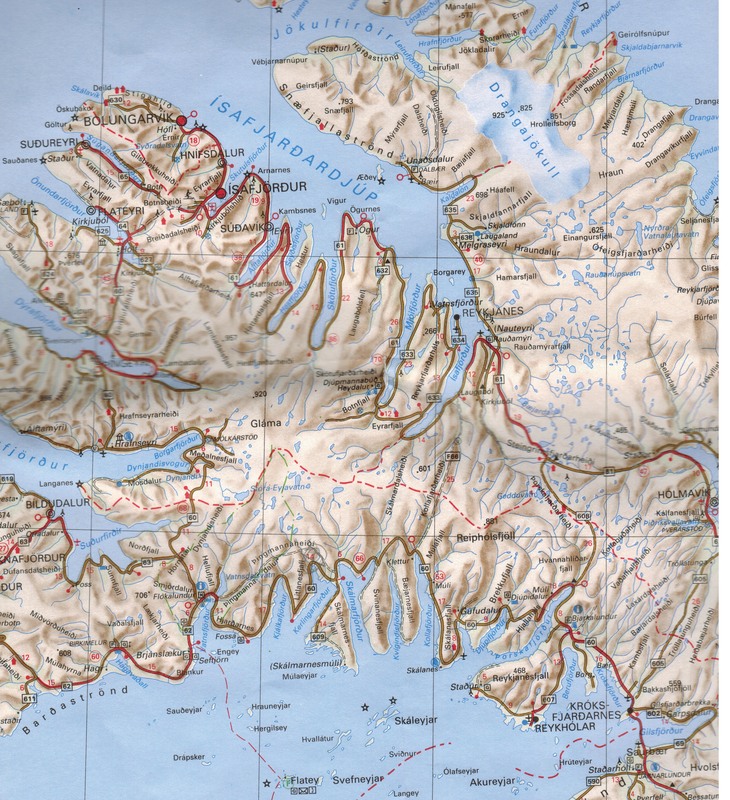 A portion of a map illustrating the northern part of Iceland. 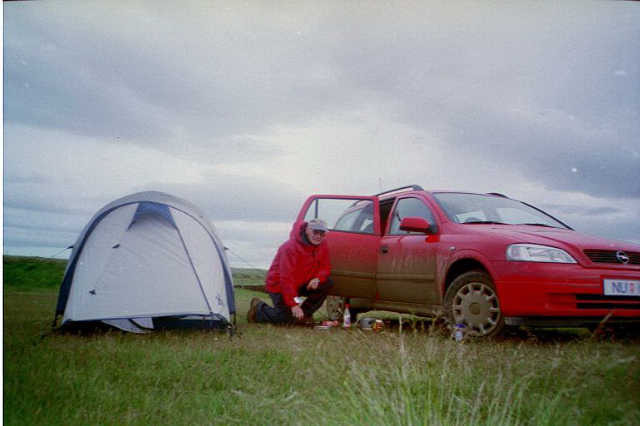 I drove around Myvatn Lake and then settled into a camp site for the night in Reykjahlid. There were many midge flies to deal with which the name Myvatn describes. they breed in the shallow pools. 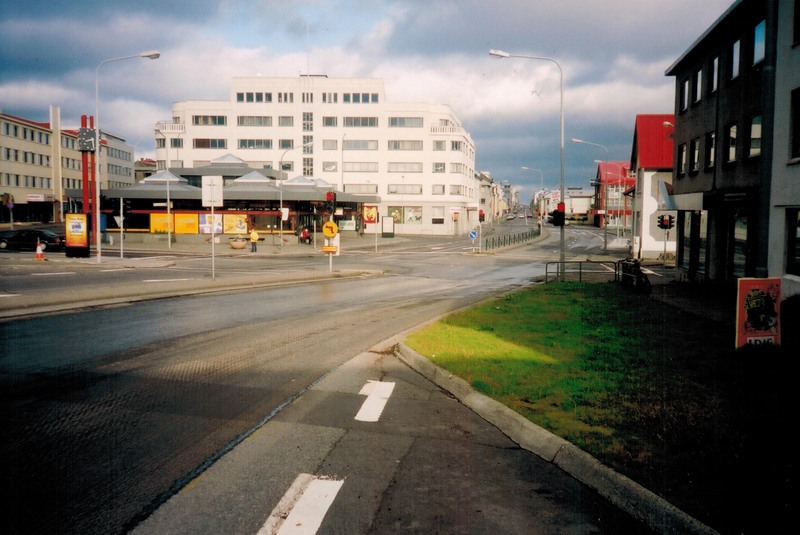 The next morning I drove to Akureyri which is the second largest city in Iceland after Reykjavik. After a meal in a restaurant which included a salad (my camp food was not very fancy), I drove past Dalvik on to Olafsfjordur for the night. 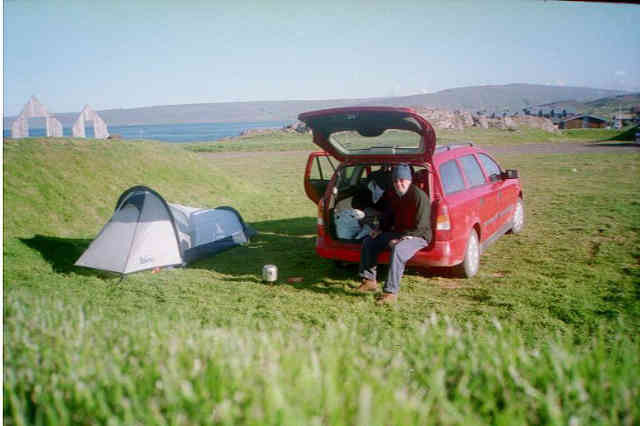 My Olafsfjordur camp sight on a fjord on the north coast. Part of the town can be seen in the background of the photo. 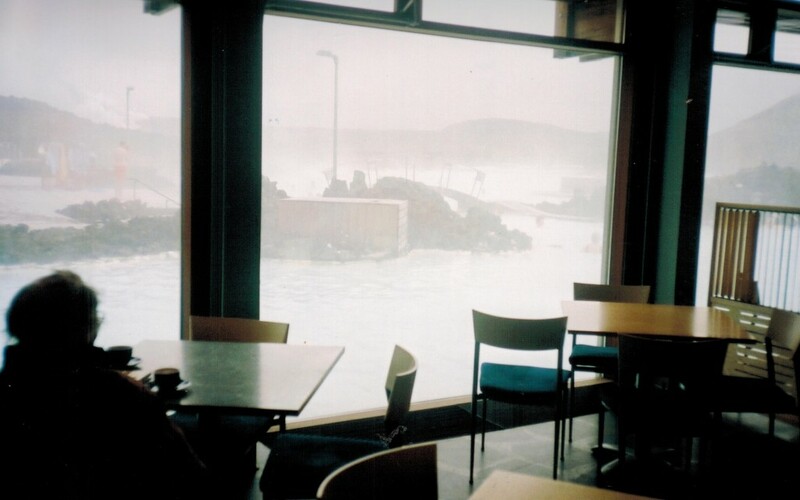 The following morning I showered and swam in the hot spring fed pool which was 39 to 42 degrees C. I drove across the peninsula to Siglufjordur. 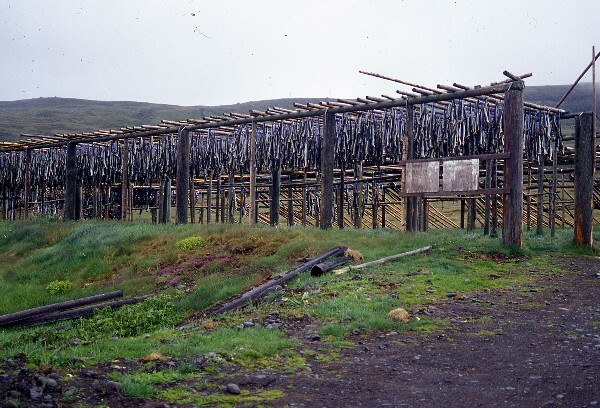 This town has a very interesting history of herring fishing and processing. There was a museum devoted to the topic. From here I drove to Blondouos and found a library where I could check my email. 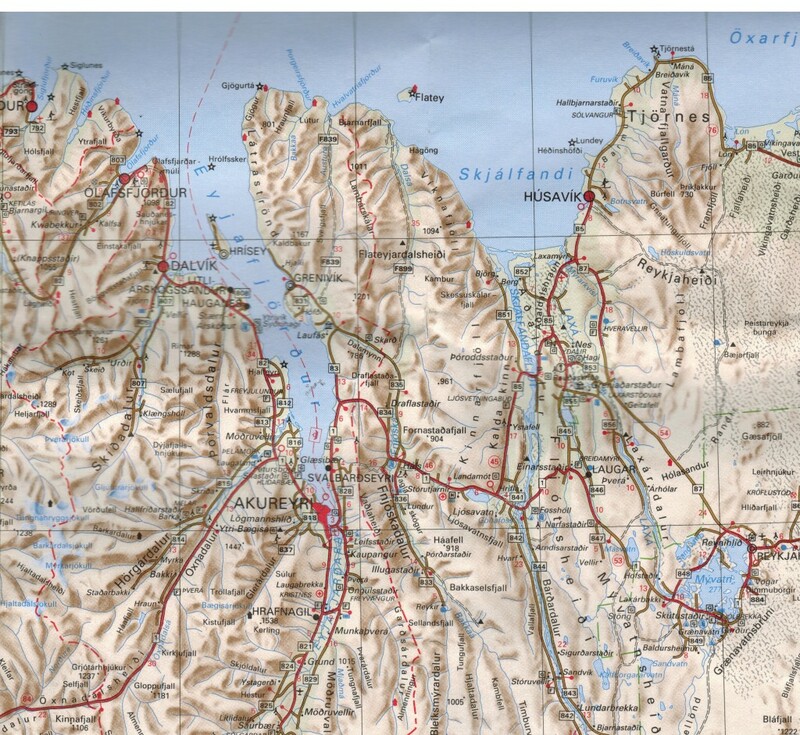 From there I drove along the coast line to Holmavik. 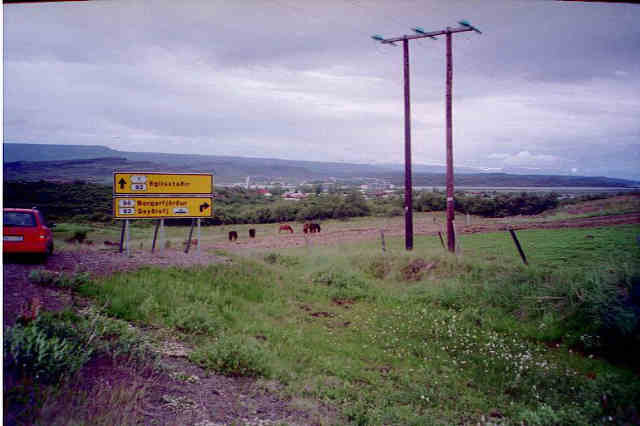 There were many small towns and farms on the way to Holmavik. 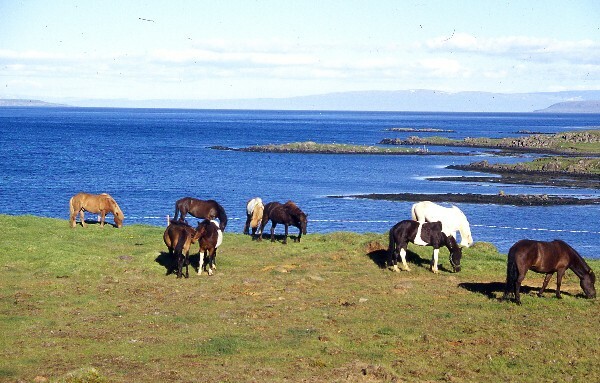 Some of the very famous Icelandic horses. A picturesque church yard and home. 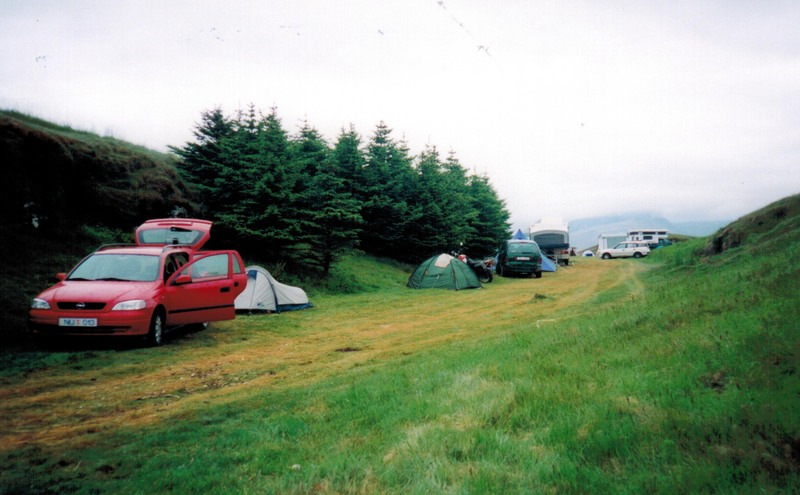 My camp sight in Holmavik. I developed a slow leak in one of my tires and had to stop at service stations occasionally for air during the remainder of the trip. 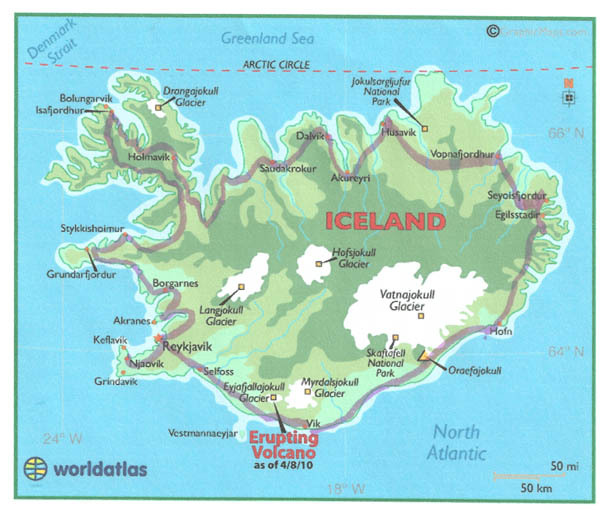 A map of the northwest corner of Iceland. 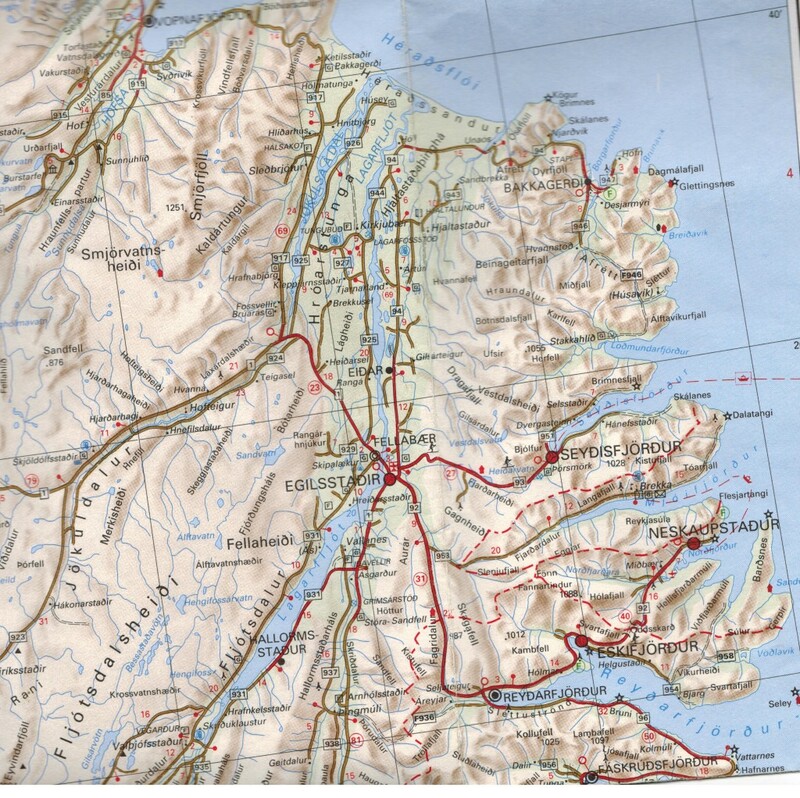 I followed the very fingered coast line from Holmavik to Isafjordur and then took the tunnel east though the mountain to the other side of the peninsula. 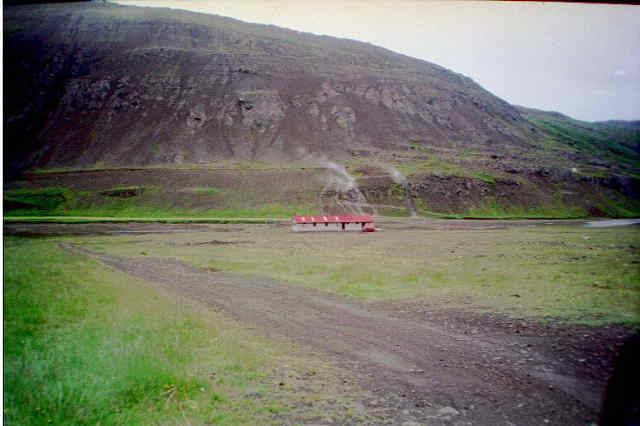 The tunnel splits undergound with one road going north to Sudureyri and the one that I took toward Flateyri. I crossed some very high country a few times and then ended up camping alongside of the road because of the lack of camp sights. My road side camp sight where I slept in the stationwagon. The next day I drove to a resort facility which had a swimming pool fed by a hot spring. I did my usual shower and swim before heading on my way again. A portion of a map illustrating Eastern Iceland. I decided not to take the tunnel under the fjord towards Reykjavik but rather drive around the fjord and then took Highway 48 to Pingvellir on Lake Pingvallavatn. This is the region where the first laws of the land were formed in 930 AD. 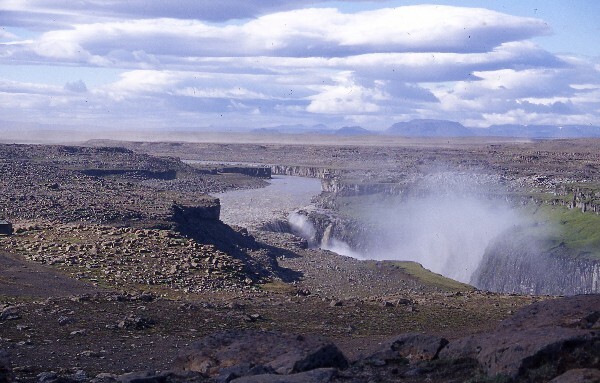 East of this region is Geysir, the home of the great geysers. 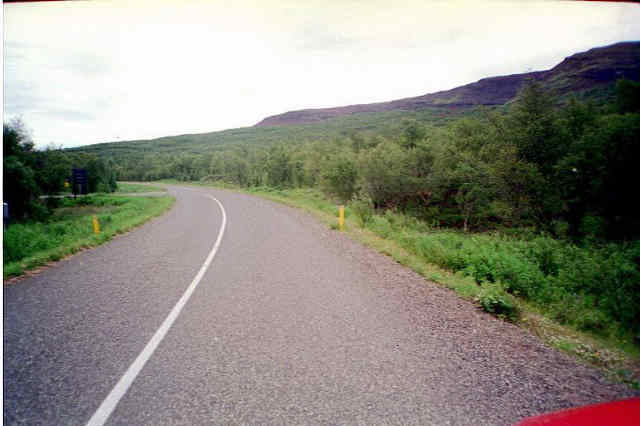 A view of Highway 48 to Pingvellir. 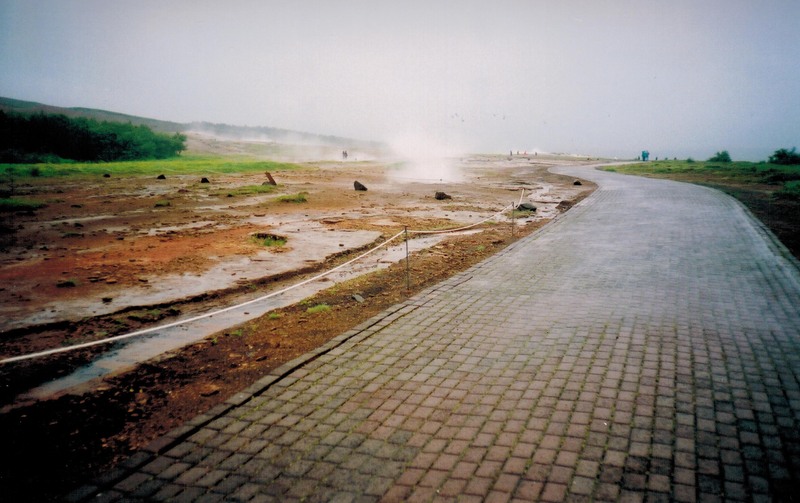 A view of the geyser fields. The major geyser decided not to spout while I was there. 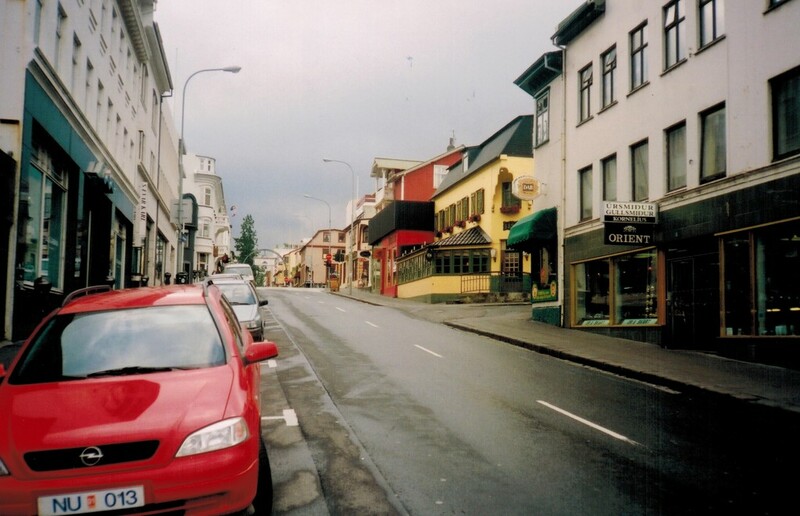 After returning to Reykjavik, I spent two more nights touring the city and near by sights. 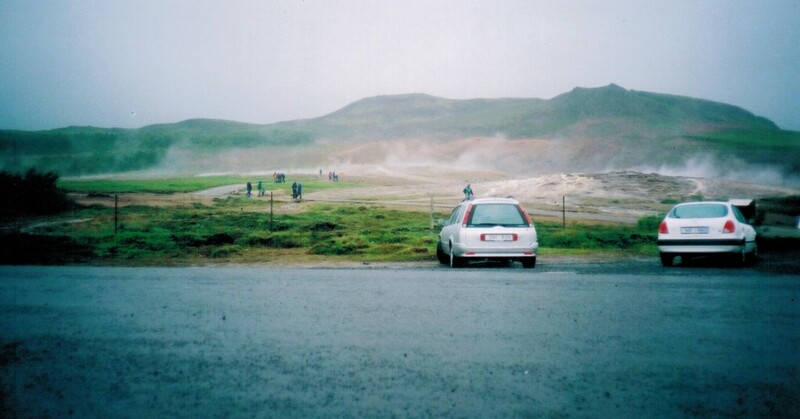 I drove out on the western peninsula to visit the Blue Lagoon and other parts of the peninsula. 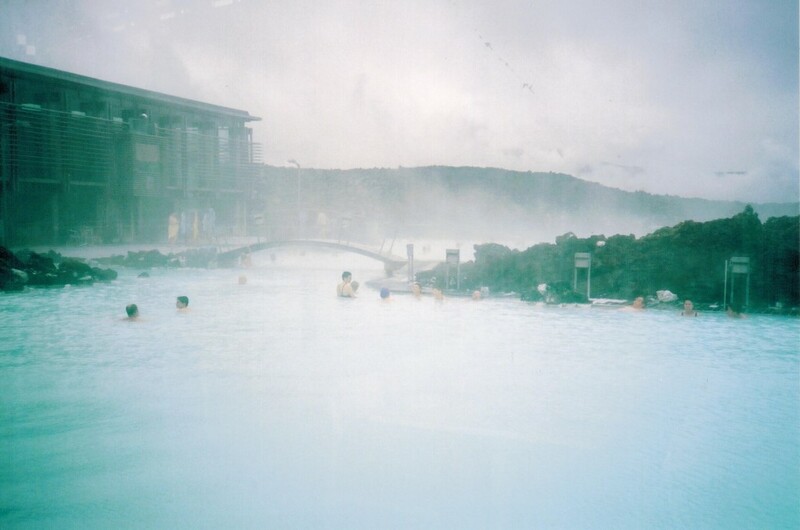 The Blue Lagoon consists of hot pools of water from the geyser sources that generate electrical power at a neighboring plant. A view of the hot water pools from the visitors lounge. A view of the pool from a hill side next to the facility. A view of the pool from the pool itself. All three pictures are foggy due to the steam that permeated the air. 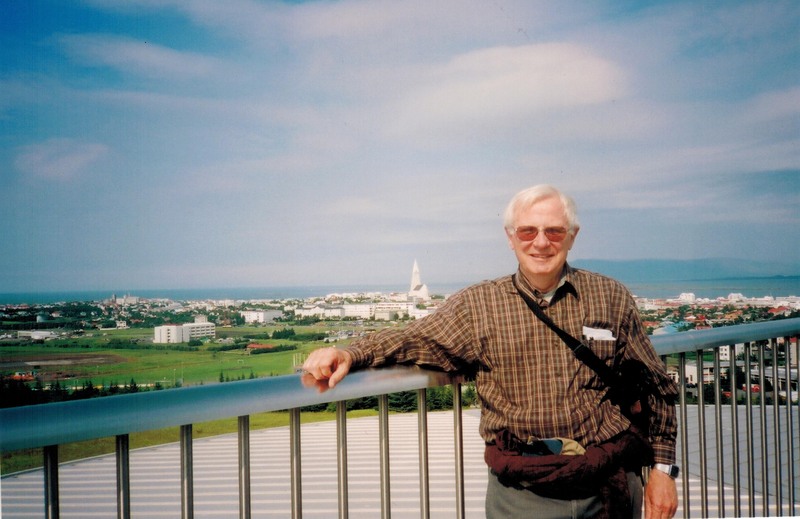 A picture of me with a part of the city of Reykjavik in the background taken from the observation platform on the city water tower. 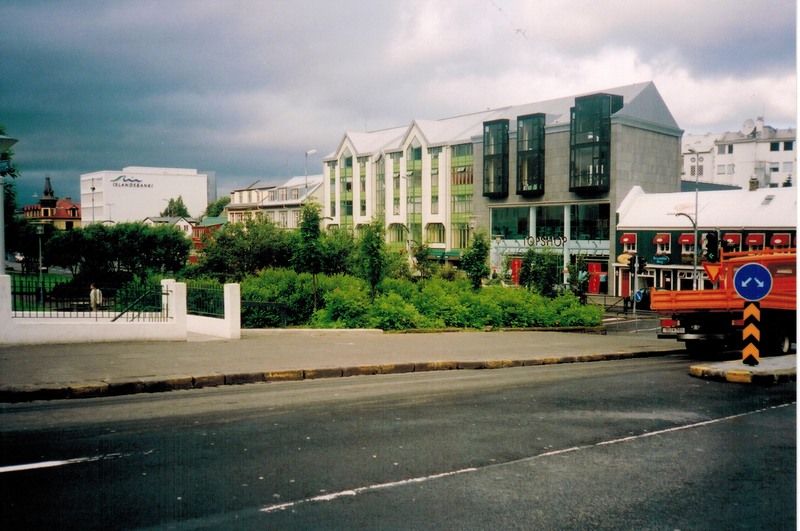 I left Iceland on a flight back to California on 24 July 2000. I was fortunate to have been upgraded to first class for the Icelandic Air flight to Minneapolis. Pure luck!